In this episode of Stripped, hosts Isabel Lord and Emma Francois discuss the challenges of “taking up space” through clothing. 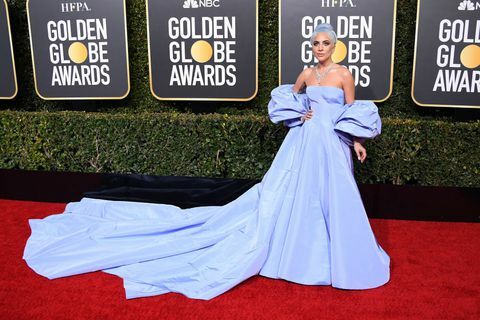 In events like the Golden Globes, and in outfits like Lady Gaga’s recent (lengthy/)wintery gown, how can one take up space in a dress without sacrificing agency? The duo also psychoanalyzes their personal favorite looks from the event, including Gemma Chan’s structural blue dress and Kiki Layne’s deconstructed, corset-inspired ballet pink number. And finally, a podcast recommendation on the gendered history of the Globes’s best accessory: the pocket.